I borrowed yet more cookbooks from the library this week! I actually have quite a few out at the moment. I have them in various rooms where I have looked up a specific recipe or where I have started reading from the beginning and not finished and another where I am on my third read through. I love borrowing cookbooks from the library because it is a no risk way of determining if you will like the book enough to actually cook from or if it is just pretty to look at. As great as it is to have cookbooks that are pretty to look at, I much prefer the ones that you can refer to time and again and that inspire you to try new things. If a book does that, then I am more likely to actually go and buy it then so that I can use it often! 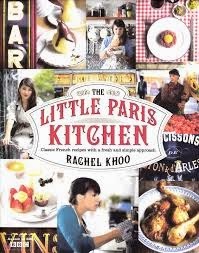 The Little Paris Kitchen by Rachel Khoo - I have been watching the TV series over the last few weeks so have requested all the books that the library has by this author. Hopefully the other ones will come soon. 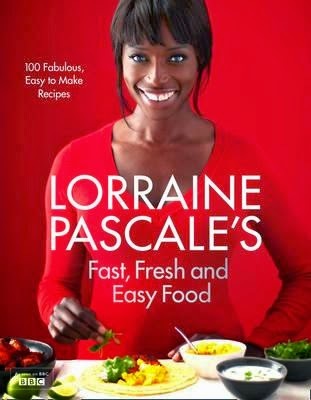 Lorraine Pascale's fresh, fast and easy food : 100 fabulous, easy to make recipes by Lorraine Pascale - This is the book that I am already on my third go through. Expect to hear more about this book and the TV series over the coming weeks. How the Marquess was Won by Julie-Anne Long - The next book in the Pennyroyal Green series. 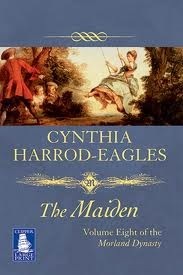 The Maiden by Cynthia Harrod-Eagles - The next book in the Morland Dynasty series. Library Loot is hosted by Clare from The Captive Reader and Linda from Silly Little Mischief. Clare has the Mr Linky this week so head there to share your loot links. I love to see those cookbooks! Looks like you'll eat well this week! Enjoy. I will read about eating well, not necessarily eat well! There's a big step between those two things!